Heat up butter at low heat, sauté leek and scallion to soften. Add in paprika, Worcester sauce, English mustard, seasoning and cheddar. Add in Mayonnaise into the pot. Fold and mix well. 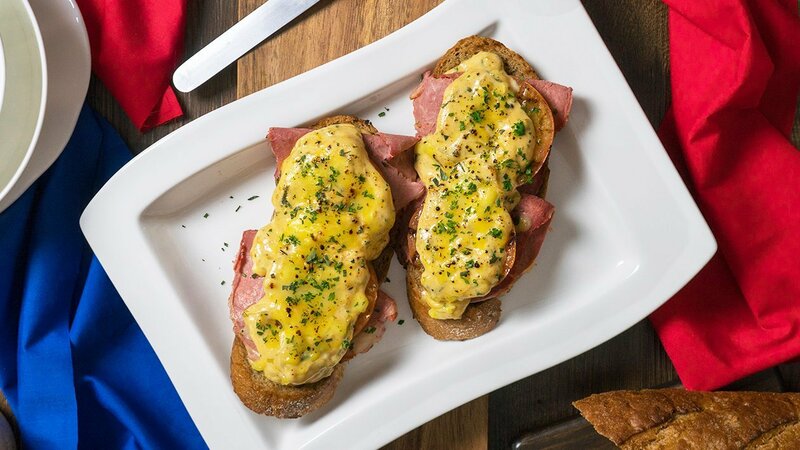 After mixing, spread on a slice of baguette, layer with beef pastrami, tomatoes and additional cheddar. Baked in the oven for 180ᵒC for 8 minutes. Garnish with Parsley.